April 22nd is annually celebrated as "Earth Day" and what a better way to celebrate this wonderful day then with the signing of the Paris Agreement. This treaty, which will ultimately reduce global warming in our lifetime, was signed by more than 177 UNFCCC (United Nations Framework Convention on Climate Change) members at the UN on Earth Day. 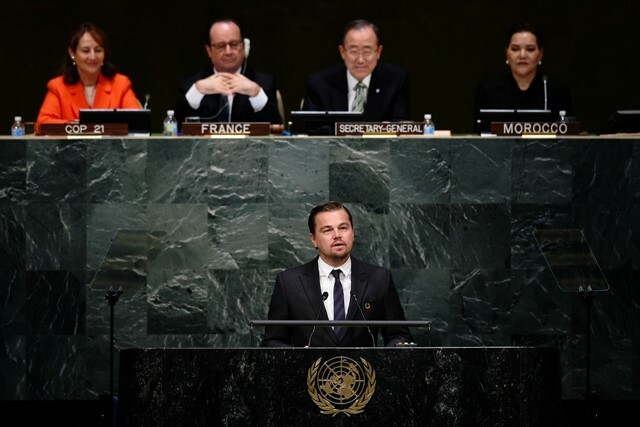 The ultimate goal of the Paris Agreement is to change the policy of climate change globally. It's setting the bar for an ambitious goal of limiting warming to well below 2 degree celsius. This would mean the entire world would need to get off fossil fuels in this century. This is a very revolutionary request of the UNFCCC but they have high hopes, even North Korea is interested in joining the party. 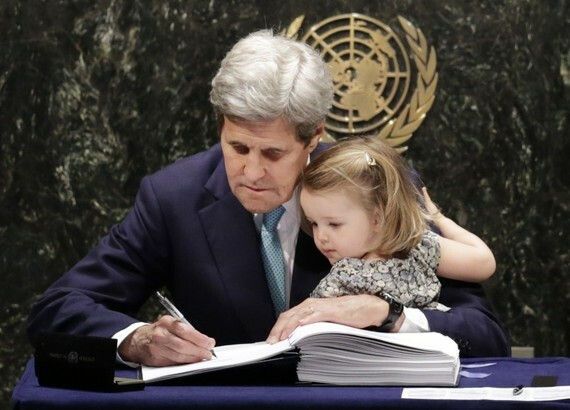 U.S. Secretary of State John Kerry signed the Paris Agreement at the UN while his granddaughter sat on his lap. This treaty will ensure her a cleaner earth to live on in the future. Before the ceremony had started Kerry had this to say: "The power of this agreement is the opportunity that it creates. The power is the message that it sends to the marketplace. It is the unmistakable signal that innovation ... is what we now know definitely is what is going to define the new energy future, a future that is already being defined but even yet to be discovered. None of what we have to achieve is beyond our capacity technologically. The only question is whether it is beyond our collective resolve." Some countries are already taking the second step to ratify the agreement and came to the signing with high hopes to join the agreement in full force. The Prime Minister of Tuvalu, said that "the people of Tuvalu are so committed to the Paris Agreement that our own parliament has already agreed to ratify." The Prime minister of Canada, Justin Trudeau, said "Climate change will test our intelligence, our compassion, and our will, but we are all equal to that challenge, In every possible sense we are all in this together. Together we will make ours a better world." Very promising and forward thinking words spoken by the Prime Minister. Written by: Kareem Yaghnam, Senior at MSU, Studying Communication and Media Arts.